Just Listed! Another Arts & Crafts masterpiece built by Douglas Construction Group (voted Best Green Builder (2014) & voted The Face of Custom Homes (2016) – by Bethesda Magazine readers). WALK TO WILDWOOD – family neighborhood aplenty!!! 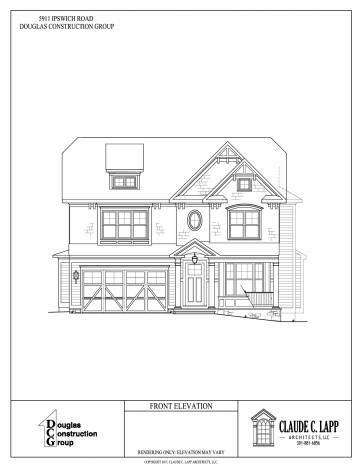 Fourth generation of a tried and true floor plan that boasts all of the elements and room counts that today’s family is looking for – over 4,900 square feet of finished space on the first and second floors, plus a fully finished basement! 5 bedrooms, 4 1/2 bathrooms, oversized mudroom, private den on first floor, gourmet kitchen with island seating for 4 and a separate breakfast room, family lounge on second floor . . . . and so much more. See the sister house at 6406 Winston. In a neighborhood loaded with young families, access to all that the area has to offer, including walking distance to Wildwood Shopping Center and a park. Floor plans are listed below.